Tell us a little bit about yourself…I am from a town that is about fifteen minutes outside of Scranton, PA, otherwise known as the place where “The Office” is based. I am a senior at Elmira College and unfortunately, it is my last year being a Margaritaville College Ambassador. After being an ambassador for two years now I have been given countless opportunities and loved every moment of my time being a part of such an empowering organization. My post-Elmira plans include taking a year off to prepare and apply to a Doctor of Veterinary Medicine program. After dreaming and staying in the Margaritaville state of mind for many years now, I am hoping to at some point move closer to the ocean breeze and palm trees where I will have a margarita (or two) in hand. What is your first Margaritaville memory? My first Margaritaville memory would have to be the feeling and the memories of my times spent in the U.S. Virgin Islands with my family. What have you learned professionally from the College Ambassador Program? The College Ambassador Program has definitely helped me grow professionally. The program and its leadership have high expectations from us just like any job would. Ambassadors, like myself, are expected to meet deadlines, put our best work forward, and to represent Margaritaville in good light. The College Ambassador Program has really driven home the importance of being organized, having strong communication skills, and being proactive. Regarding communication, ambassadors are communicating daily with those on the leadership team and are constantly communicating the Margaritaville lifestyle to those around us. Barefoot or Flip Flops? 110% barefoot all the way. I want to be able to feel the sand (or the grass) between my toes! 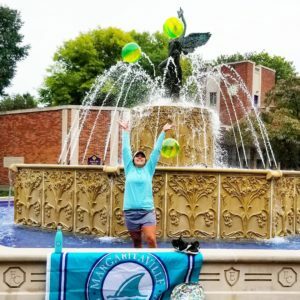 How have you shared the Margaritaville state of mind with your campus? 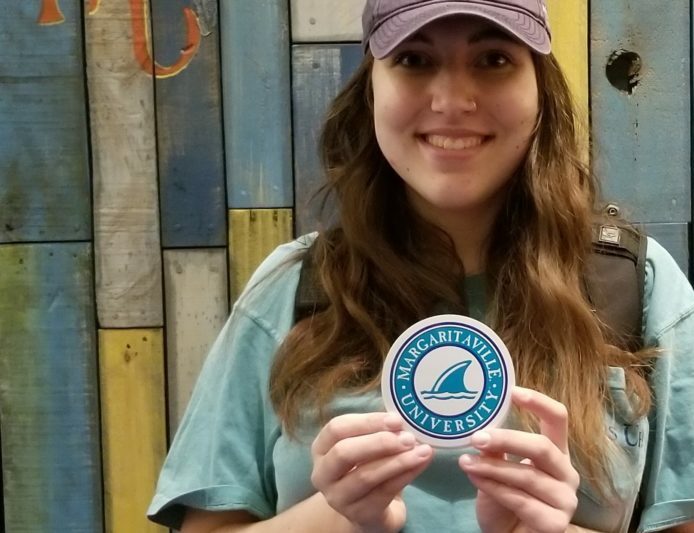 I have shared the Margaritaville state of mind with my campus through holding contests and talking about Margaritaville and the College Ambassador Program to my peers. 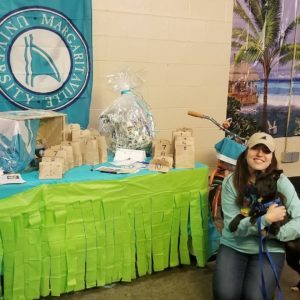 This February, I worked with Margaritaville University, my local hockey team, and my local animal shelter to raise funds to help animals escape to their furever homes to celebrate National Escape Day. Not only were students on my campus engaged in the event but so were community members, all coming together for a great cause. With that being said, I believe that the Margaritaville state of mind has flourished and developed on my campus into more than just a means of distressing but more of a way to help others. If you could spend a day with Jimmy Buffett, what would you do? If I could spend a day with Jimmy Buffett, we would definitely have to have a beach/boat day. However, I would want to talk to him about how the Margaritaville dream started and what he imagined would come of it. Did Jimmy Buffett think that Margaritaville would grow this big, be this impactful and be recognized around the world? What would you teach at Margaritaville University? I would teach a lesson about finding the perfect spot to camp out on the beach. Although being anywhere at the beach is great, everyone has their preference to where they want to put their towels, whether it is somewhere laid back or loud and wild. What surprised you about Margaritaville after becoming an ambassador? The thing that surprised me the most about Margaritaville after becoming an ambassador would have to be how extensive the brand is. I knew about the hotels and resorts, restaurants, and clothing lines but I never knew about all the products and services that were available such as the casinos and Margaritaville foods. It is truly remarkable. What is your favorite memory of Margaritaville University? I do not think I can rank any one memory of Margaritaville University as my favorite. I loved having the chance to meet our amazing leadership such as Jared and Kristina at the Jimmy Buffett concerts the past two summers. I am grateful for the opportunity for the chance to go and see Escape to Margaritaville on Broadway last spring with my mom. This fall, I got to meet with parts of the Margaritaville team in Corning, NY for lunch and discuss the program in between my classes. 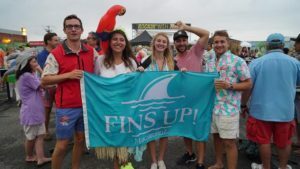 These are some of my top memories of Margaritaville University and I am sure more are to come! You walk out of lecture, quit school and get on a plane to never return… Where do you go? Hands down, Australia! Never been but really want to go, even if the spiders there are huge!